Director of Twilight you say??? 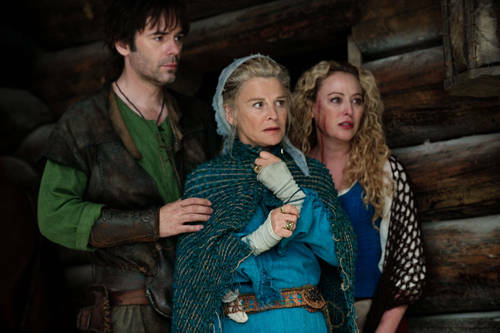 Sooooo I saw your latest movie Red Riding Hood on Saturday and let me just say WOW. And then I’m going to follow that with WHAT WERE YOU THINKING???!!!!!?!?! 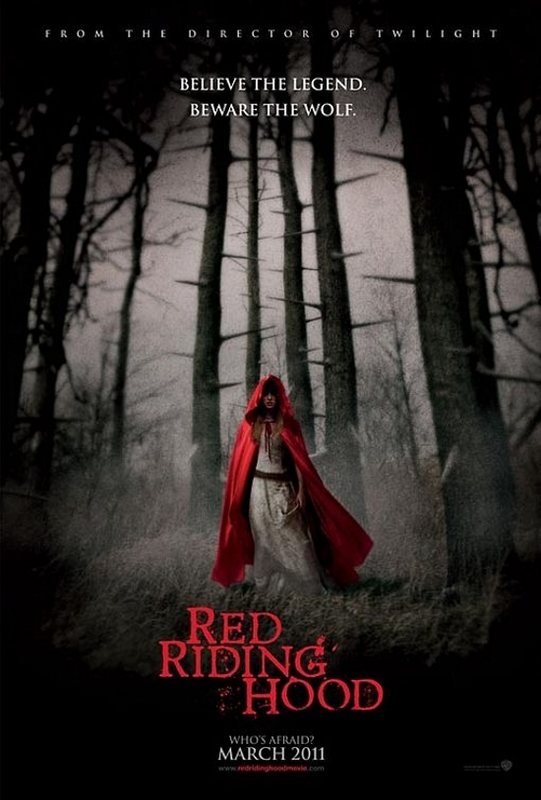 My friend and I decided to hit up a matinee of Red Riding Hood based on an interesting trailer and our love for cute boys in fantasy type films. We smuggled in some Haribo and Diet Cokes and it was ON. The opening credits rolled and we both turned to each other and said “what movie are we watching?” Cause the opening sequence could have been lost footage from the first Twilight film, all that was missing was that Black Ghosts song and Charlie picking Bella up in the squad car. BUUTTT what do you know ol Charlie I mean… whatever Billy Burke’s character’s name is was THE DAD! Anyway, so you love a good overhead helicopter shot of snowy woods on mountain tops, I can understand that and really the Twilight rip off aren’t the issue. When we’re only 5 minutes into a film and the audience is openly laughing out loud at what’s supposed to be a dramatic movie, you know something has gone horribly wrong. The last time I saw a movie where people laughed out loud like this was Crossroads with Britney Spears in the early 2000’s. Yikes! And yet again we turned to each other but this time it was my pal saying “this is really awful, isn’t it?” Um, yea pal it is AWESOMELY AWFUL! We’re talking Syfy Channel level of awesomely awful! It was like we were watching The Village meets Ring of Nibelungs meets Twilight. Say it! Out Loud! SAY IT: Fairey Tale! The Twilight similarities could go on for days beyond the opening title sequence and Billy Burke being the Dad to the insane amount of close ups of the eyes to the werewolf looking like a first draft of the New Moon wolves to the MEADOW scene with Amanda Seyfried and Edward #2 (he was second in line for Edward after Rob!) to the love triangle to the “say it out loud” part to werewolves to the “specially abled kid.” Ok, so there wasn’t a specially abled kid in Twilight, unless you consider BooBoo/Seth special. 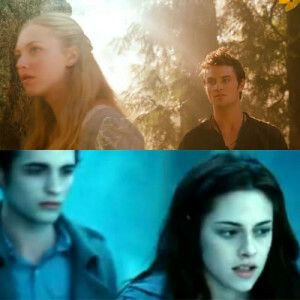 Now my only other question remains: is there a lurid audition tape of Shiloh Fernandez and Amanda Seyfriend (Amandiloh? Shiman?) 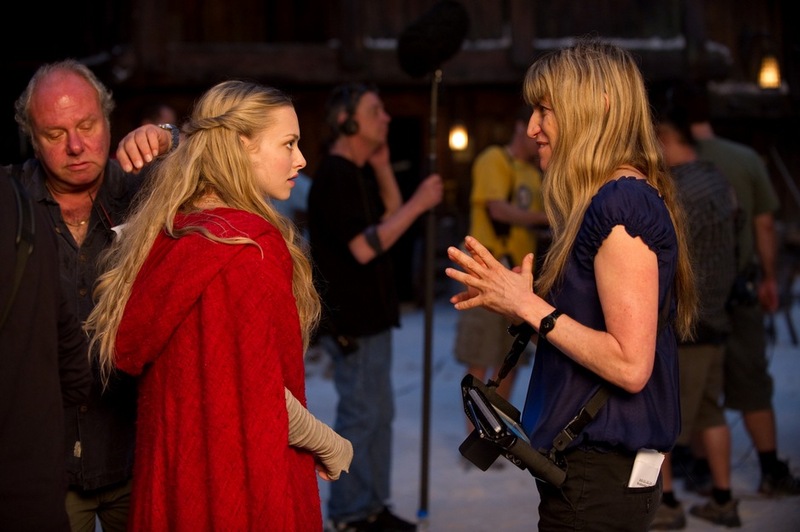 you’re going to hold over theirs heads, refer to and pull out anytime you do press for movies other than Red Riding Hood in the future?